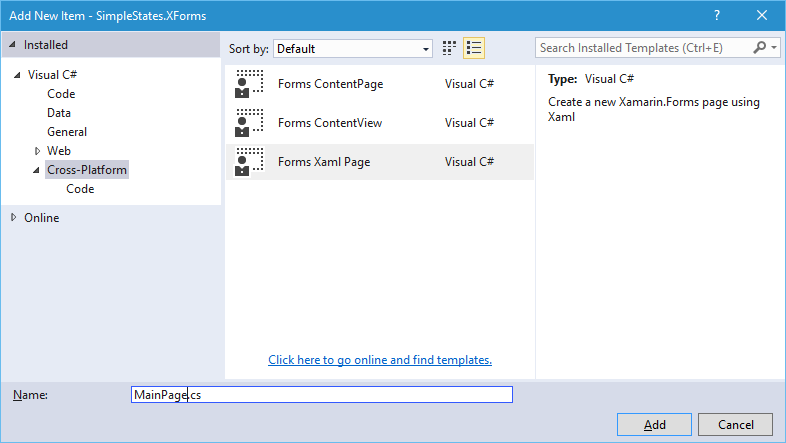 In my previous post I showed how to switch between Visual States using the tooling that comes with the BuildIt.Forms library. One of the other features of the tooling is the ability to load mock data that can assist with visualising how a page might look like with certain data. Rather than try to guess at what data your page might require, the tooling simply allows you to define a series of design actions. 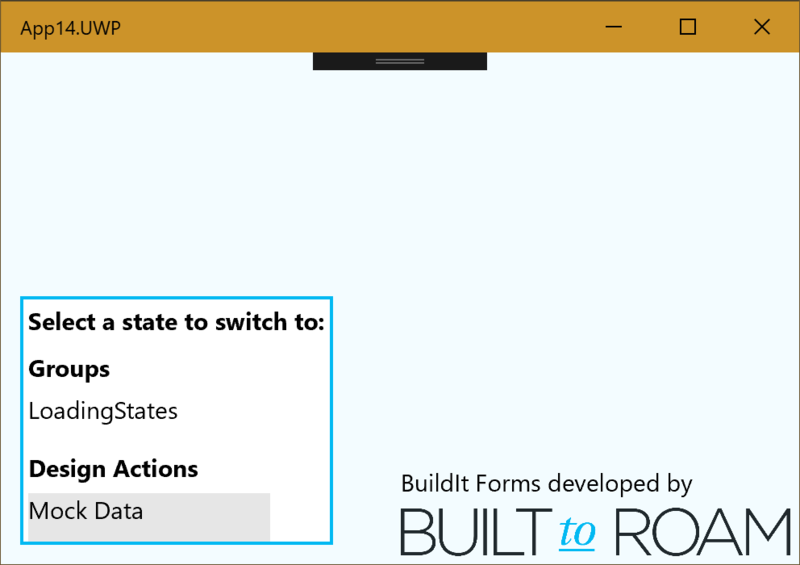 Each design action will appear within the BuildIt.Forms flyout, allowing you to invoke the action. 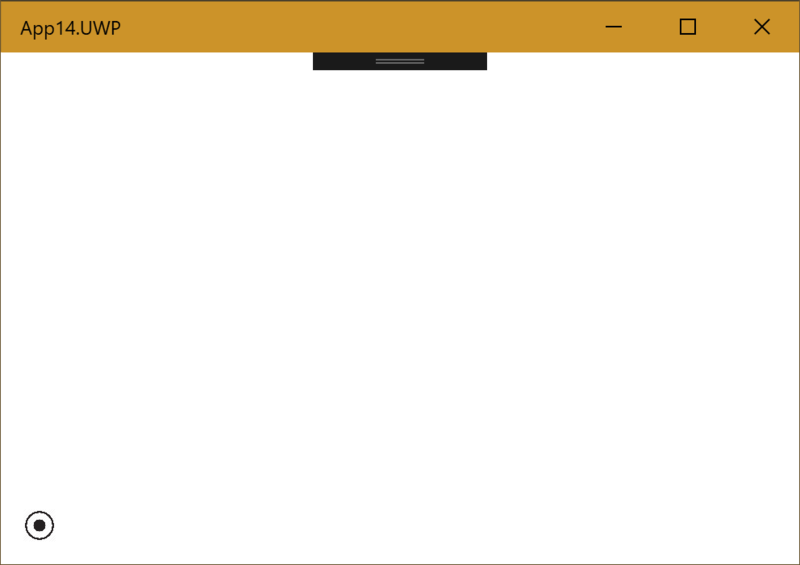 This isn’t great as I’ve got no idea what my ListView is going to look like. So let’s fix this by adding a design action. I do this by calling the AddDesignAction method (it’s an extension method which is why I can access it on the MainPage) and providing a name, “Mock Data”, and the action to perform when the design action is run. 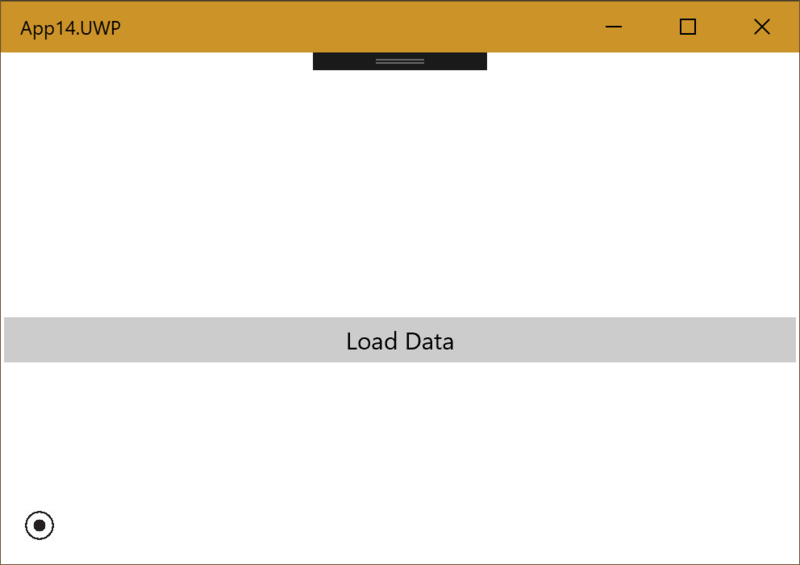 In this case I’m creating an IEnumerable of an anonymous type that has a property Name, which aligns with the data binding in the ListView XAML shown earlier. I’m assigning this directly to the ItemsSource of the ListView – at this stage I’m just creating the layout of the pages of my application so I might not even have View Models, which is why I’m assigning directly to the ItemSource property in place of data binding it. The final image shows the list of items being displayed in the ListView – clearly this layout could do with some work! Back in the days of Silverlight/Windows Phone Microsoft launched a tool called Expression Blend that allowed developers and designer to work in harmony with developers doing their thing (ie write code) in Visual Studio and designers creating the user experience in XAML using Expression Blend. 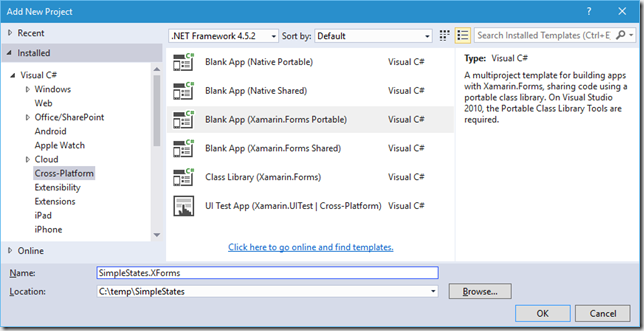 Fast forward a few years and Expression Blend has been rebadged to Blend for Visual Studio and most of the features of Blend have now been migrated to Visual Studio. 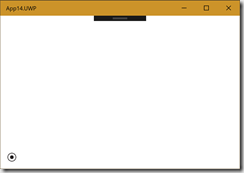 With the demise of Windows Phone and the lack of developer interest in building for just Windows, Blend is now a tool that most developers have all but forgotten. So, why am I bringing this up now? Well, one of the features I missed from Blend is the ability to have design time data that allows you to build out the entire user interface, with the design time data being replace by real data when the application is run. Whilst there have been some attempts at providing a design time experience for Xamain/Xamarin.Forms, the reality is that it comes no where close to what Blend was able to do in its heyday. If we look at other platforms, such as React Native, there has been a shift away from design time experience, across to an interactive runtime experience. By this I mean the ability to adjust layout and logic of the application whilst it’s running, which relies on the platform being able to hot-reload both layout and logic of the application. 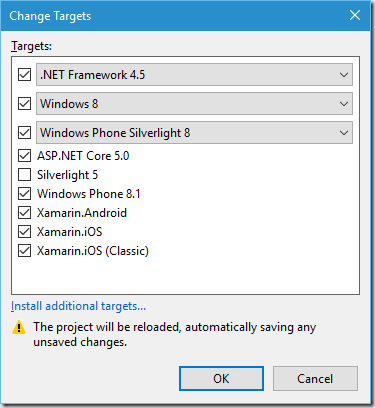 There are some third party tools for Xamarin.Forms that partially enable this functionality. Now, when I run the application I see a small dot appear in the bottom left of the screen. Note that this is only shown when the Visual Studio debugger is attached so will not impact the way your application works in release mode. 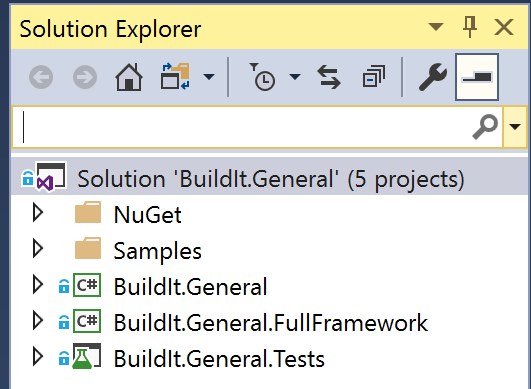 Today I was reviewing some of the test cases we have for BuildIt.General – these are a bit dated now as they were created with MSTest using IntelliTest. 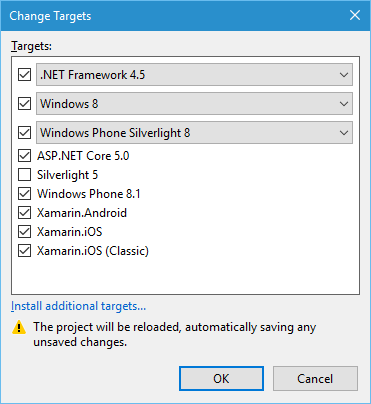 Recently we’ve updated the BuildIt libraries to target .NET Standard and to support multi-targetting. Unfortunately, whilst the test cases continue to run, I was unable to run IntelliTest in order to add test cases for some of the new features we’ve added recently. 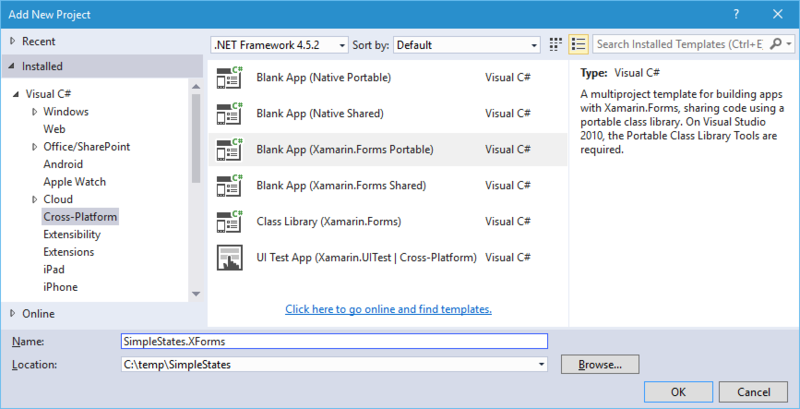 As this Stack Overflow question confirms, IntelliTest is only supported on .NET Framework class libraries. What’s worse is that IntelliTest is only supported on old style csproj projects. 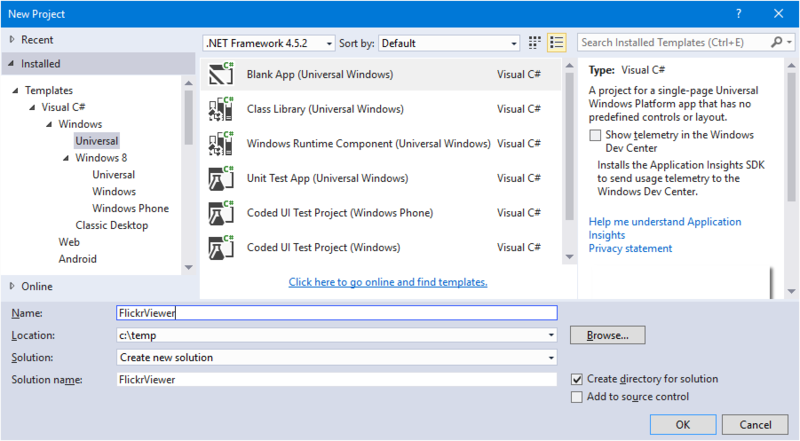 In order to get IntelliTest to work for BuildIt.General I created a new .NET Framework class library, BuildIt.General.FullFramework.csproj, which I placed into the same folder as BuildIt.General.Tests (putting it into the BuildIt.General folder causes all manner of weirdness due to different csproj formats not playing nicely together). 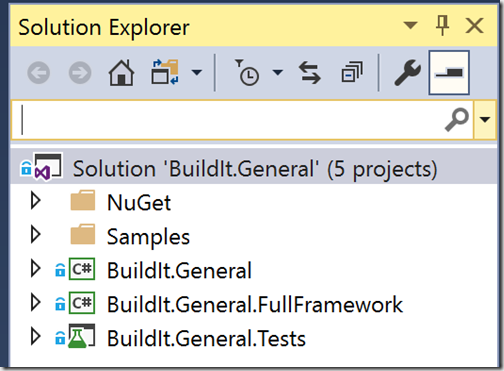 For each file in BuildIt.General that I wanted to use IntelliTest to generate test cases I added the file as a link to the BuildIt.General.FullFramework project. IntelliTest can be run by right-clicking within the method to be tested, selecting IntelliTest –> Run IntelliTest. 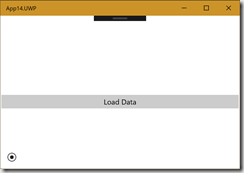 The IntelliTest output is shown in the IntelliTest Exploration Results window, from which each test can be saved. More information on IntelliTest can be found on the docs website. If the application was to change state by invoking ChangeState on the StateManager, this would trigger the appropriate change in Visual State on the page. If the user were to resize the page, the AdaptiveTriggers would kick in, causing a change in the Visual State. However, this change wouldn’t be reflected in the StateManager, thus not updating the value of Data (ie would say “Minimised” when the SplitView was expanded, or saying “Expanded” when the SplitView was collapsed). 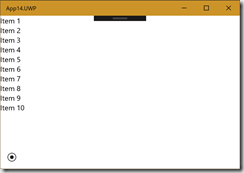 Luckily the VisualStateGroup class in UWP raises a CurrentStateChanged event, which can be intercepted and used to route the update back in the StateManager. 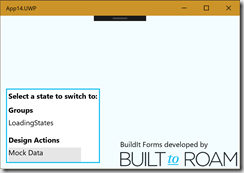 This has been added to BuildIt.Lifecycle to ensure consistence between the state of the StateManager and the corresponding visual states. In the same way as the name of each VisualState has to match the enumeration value, the name of the VisualStateGroup has to match the name of the enumeration itself. 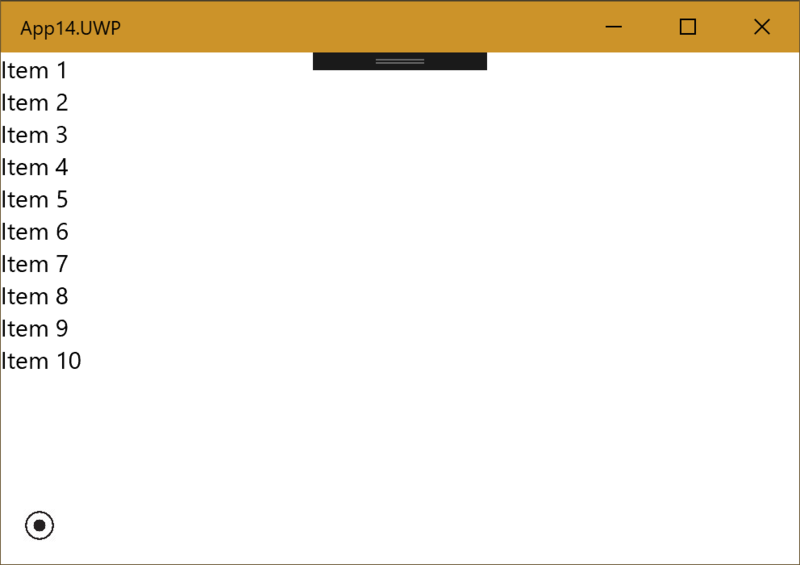 Yesterday when I was Toggling the SplitView Pane using a Hamburger Button in a UWP Application, I did it by simply inverting the IsPaneOpen property on the SplitView. This is in conflict with the visual states I had previously declared. 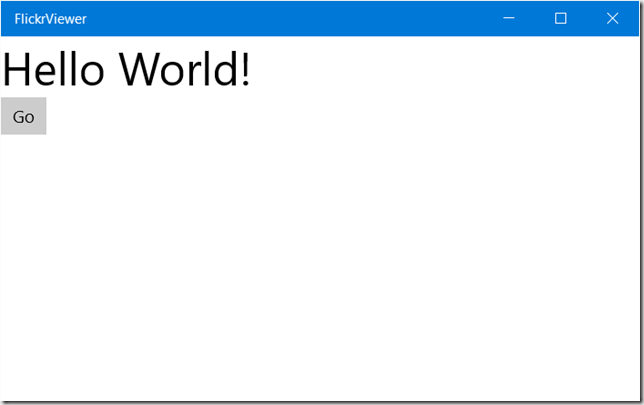 An alternative would be for the button to invoke a state change on the AboutViewModel – this relies on knowing what the current state is, as shown in the following code which sits within the AboutViewModel. As the user adjusts the width of the window the Pane of the SplitView will open and close depending on whether the window is wide enough. Secondly, I need to add a hamburger button to the layout of the page. This is a regualr button control, styled to be a hamburger button – in this case the style for the hamburger button was taken from the UWP samples.